Top-quality construction and great intonation for a great price. 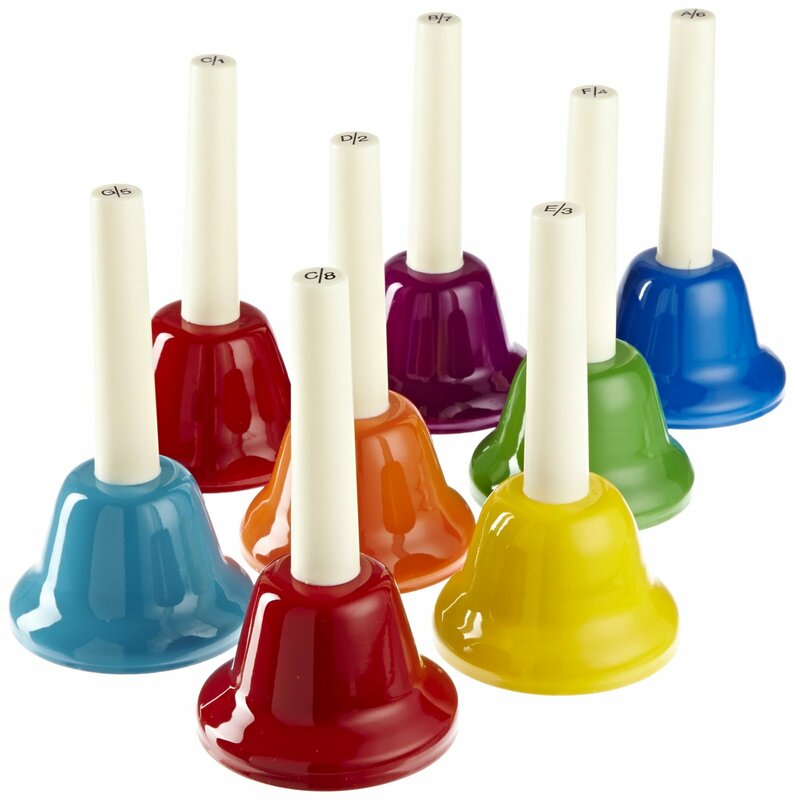 The Kids Play 8-note handbell set covers the C-c range. Each of the 8 metal bells has note names and numbers clearly marked on top of the handle. 5"-long handles for easy handling.